The Penn State MPH Program, located at the Penn State College of Medicine campus in Hershey, Pennsylvania, offers students the opportunity to earn an MPH degree while gaining professional experience and applying knowledge and skills learned in the classroom to real-world public health settings. Such practice-based experiences are reinforced through the program’s connection to the Pennsylvania Department of Health, which is situated in the state capitol and only 14 miles west of the campus, and other key public health partners. 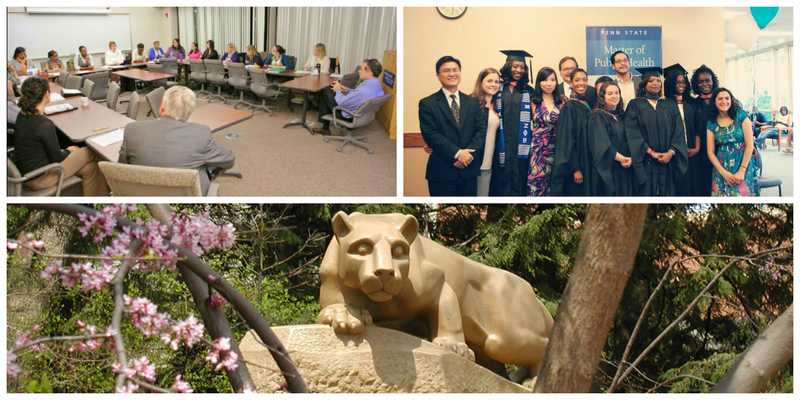 The MPH Program at Penn State offers an individualized, student-centered approach with an emphasis on advancing theory and practice that prepare future public health leaders, improve population health and reduce health disparities through excellence in education, research and service.